Oran Hesterman shares how his experiences at the UCSC Farm & Garden set him on a life’s journey to make sustainable food accessible and equitable. In the spring of 1971, a student from the Aesthetic Studies program at UC Santa Cruz took a class that would change the course of his life. The college freshman enrolled in “The Built Environment,” a seminar taught by philosophy and religious studies professor Paul Lee who in 1967 helped start the 3-acre Student Garden Project (now the Alan Chadwick Garden). That student was Oran Hesterman, author of the influential book Fair Food: Growing a Healthy, Sustainable Food System for All (Public Affairs, 2011) and president and founder of Fair Food Network, the organization behind what is today a national model for helping low-income families enrolled in the federal Supplemental Nutrition Assistance Program (SNAP; formerly food stamps) bring home more healthy food, while supporting American farmers. Before Hesterman championed a healthy and equitable food system, he was a strappy art student turned farmer in Santa Cruz, California. “I couldn’t stay away, ” Hesterman remembers about the space he would spend several years transforming into a working farm. Soon, all of Hesterman’s spare time was spent at the farm. By his junior year, he dropped out of school to devote himself full-time to what he calls an “experiment” in both communal living and organic farming. 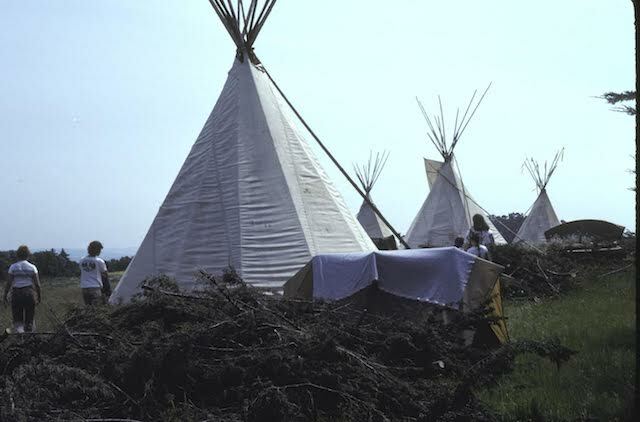 “There were eighteen of us living in teepees,” Hesterman recalls. 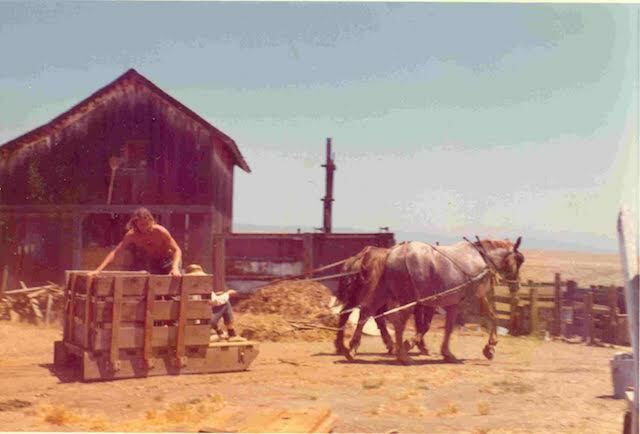 This volunteer group, dubbed the “home farmers,” helped develop many of the garden beds, orchards, and basic infrastructure of what today is the 30-acre UCSC Farm. Their work also helped lay the foundation for today’s Apprenticeship in Ecological Horticulture, a full-time training program offered annually through UCSC’s Center for Agroecology & Sustainable Food Systems (CASFS). “We were completely disconnected from the electricity grid,” he says about life on the farm in the early 1970s. The group was completely self-sufficient. They grew all their own food and bartered the produce they farmed for cheese, grains, and store credit at local health food stores. “The farm showed me it was possible to imagine a different way of feeding ourselves,” says Hesterman. At the time local businesses were asking for alfalfa sprouts and Hesterman, along with some of his farming cohort, began growing sprouts. Over the next few years, many of the volunteers left the farm and started ventures of their own. But Hesterman stayed behind and expanded sprout production into a full-fledged business. “Santa Cruz was the early hub of the natural food scene,” says Hesterman. His alfalfa sprout business boomed and become one of the largest in the country. But what is dubbed a food movement now was not considered that then, he shares. “We were seen as the fringe and in the margin. We were dismissed by more traditional agricultural interests,” he says about trying to break into the food business. Realizing his sprout business needed more expertise, Hesterman decided to return to school—this time as a plant scientist. “I was entranced by the process of photosynthesis,” says Hesterman. He enrolled in biology and math classes at Cabrillo College and in 1977 transferred to UC Davis to complete his undergraduate and M.S. degrees. He continued his studies at the University of Minnesota where he earned a Ph.D. in agronomy and plant genetics. There his research led to groundbreaking work on using alfalfa to replenish soil nitrogen without chemical fertilizers. Hesterman eventually landed a professorship at Michigan State University, where he taught for 12 years. After a sabbatical helping the Michigan-based W.K. Kellogg Foundation define what an agriculture investment portfolio could look like, Hesterman was invited to join the foundation as an officer of this newly launched program. “We need to find ways to unleash both philanthropic and investment capital to organizations and businesses that support the products people are demanding,” says Hesterman, who is committed to sustainable and equitable food systems. 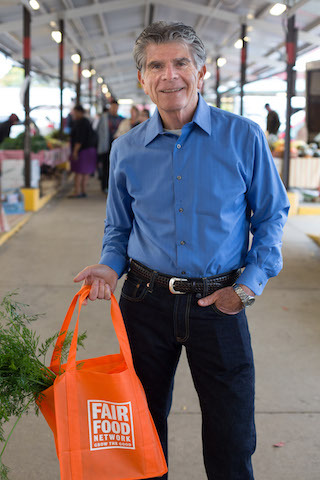 During his tenure at the Kellogg Foundation, where he eventually led the Integrated Farming Systems and Food & Society programs, Hesterman helped seed the local food movement with more than $200 million in investments, including funding a pilot project in Maryland that boosted the value of SNAP benefits (also known as EBT, or food stamps) when used at farmers’ markets. After more than a decade as a funder fueling nonprofit innovation and experimentation, Hesterman struck out to launch his own organization. In 2009, the Fair Food Network was born. Building off the Maryland pilot Hesterman had supported at the Kellogg Foundation, Fair Food Network launched “Double Up Food Bucks,” an initiative that doubles SNAP benefits when spent at local farmers’ markets. With more credit to spend on fresh, locally grown fruits and vegetables, low-income families can eat healthier while supporting growers in the region and local food economies. Double Up’s strong track record in Michigan helped inspire a new $100 million grants program established in the 2014 Farm Bill, which is supporting organizations nationwide to implement these types of produce incentive programs. Double Up has become a statewide success story in Michigan, operating in more than 200 sites across the state. It’s also become a model for more than 20 states with families and farmers benefitting from local Double Up programs at hundreds of farmers’ markets and grocery and corner stores across the country. “This is an example of how innovation at the community level can influence policy,” says Hesterman about the importance of local activism. “We are now at a point where successful models exist,” Hesterman adds about changes in the food systems. And it all goes back to the UCSC Farm and Garden. What was once an experiment is now a movement. “The fact that we call it a movement is a milestone,” says Hesterman about how the market has changed. While tent cabins have replaced tepees for the farmers in training, the immersive environment that Hesterman pioneered is still at the heart of the Apprenticeship program. And some apprentices are still growing sprouts. In 2017 the UCSC Farm and Garden will celebrate 50 years of working to grow a healthy, socially just food system. They are planning an exciting calendar of events throughout 2017 to celebrate their 50th anniversary, including the First 50 Celebration & Symposium at UC Santa Cruz July 28–30. Join us as a guest, a volunteer, or a sponsor. Learn more about the First 50 Celebration and other upcoming events.